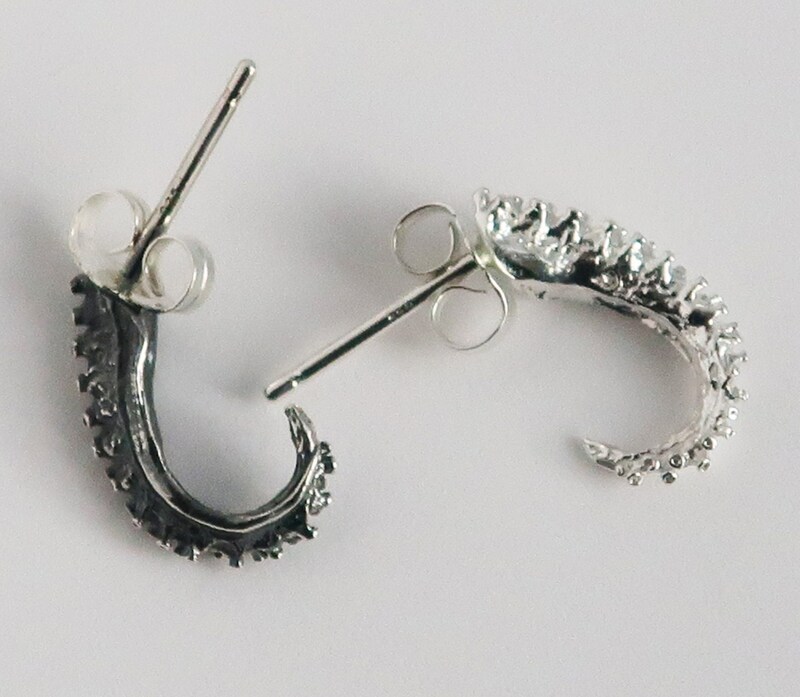 These solid Sterling Silver tentacles measures approx. 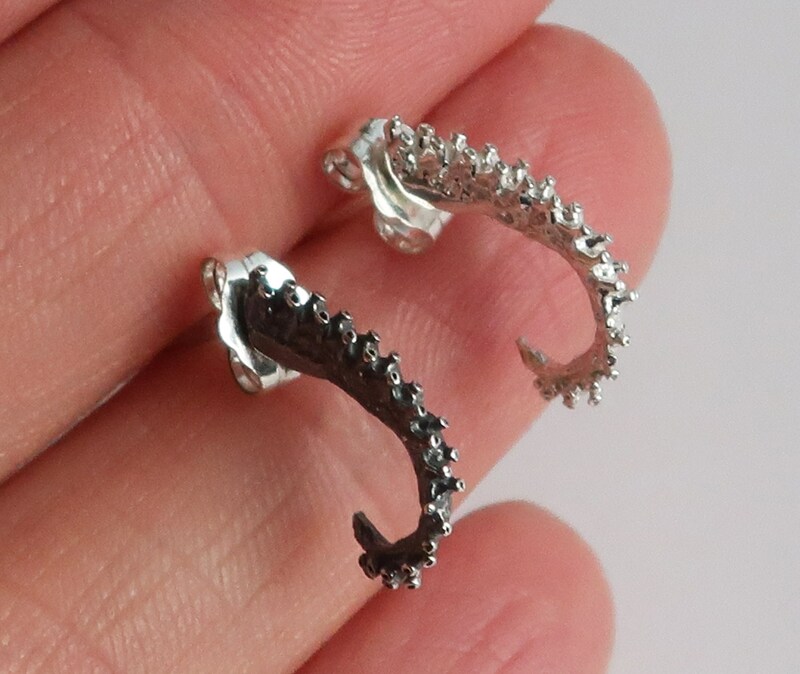 15mm x 8.5mm, with Sterling Silver 11mm posts with push backs (also Sterling Silver). 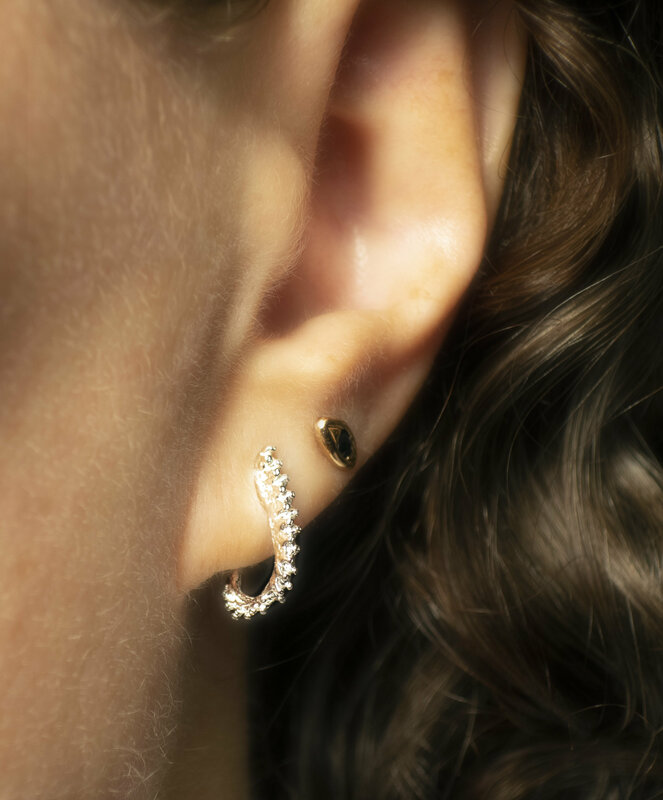 At first glance, they almost look like little hoops. 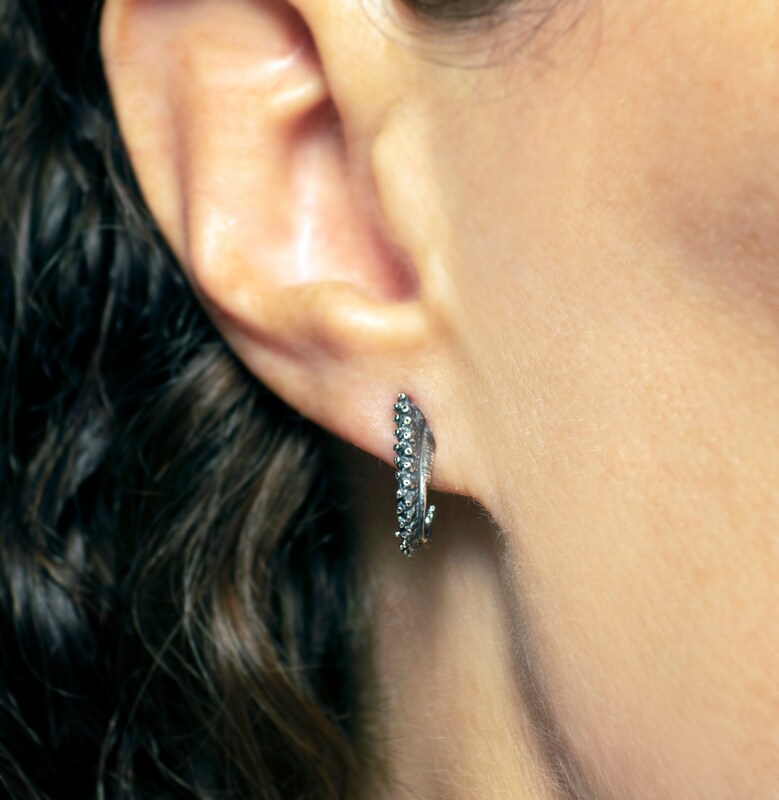 With much of the original tentacle details intact, these little earrings are classy but unusual. 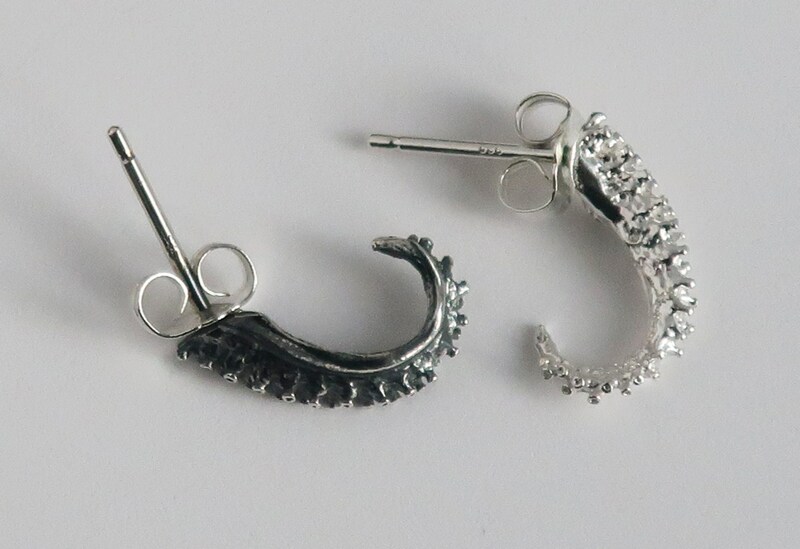 Can be purchased as a single earring or as a pair of earrings (2 earrings) in your choice of white or blackened silver.